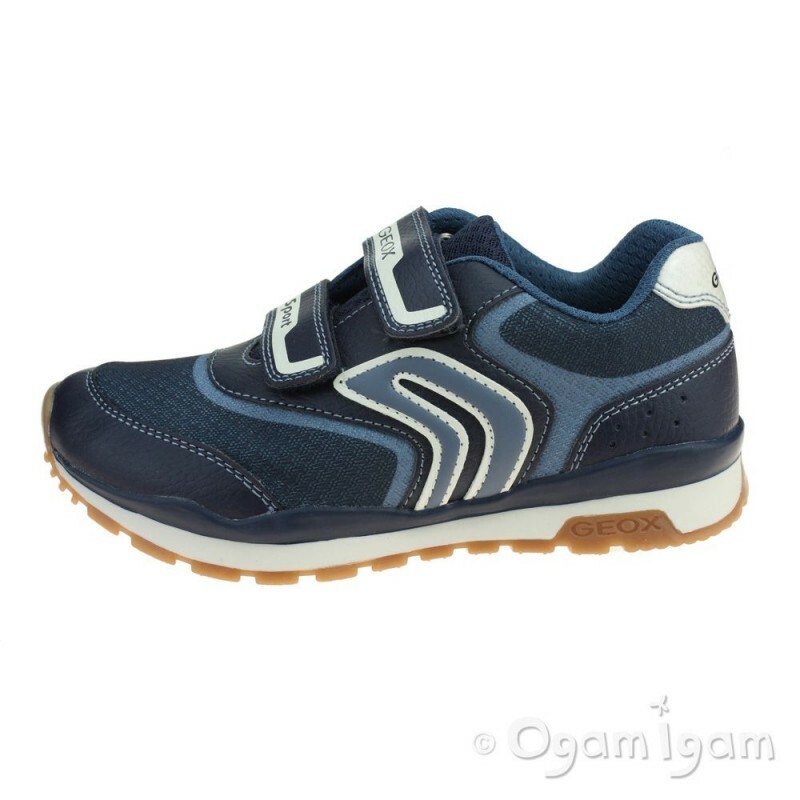 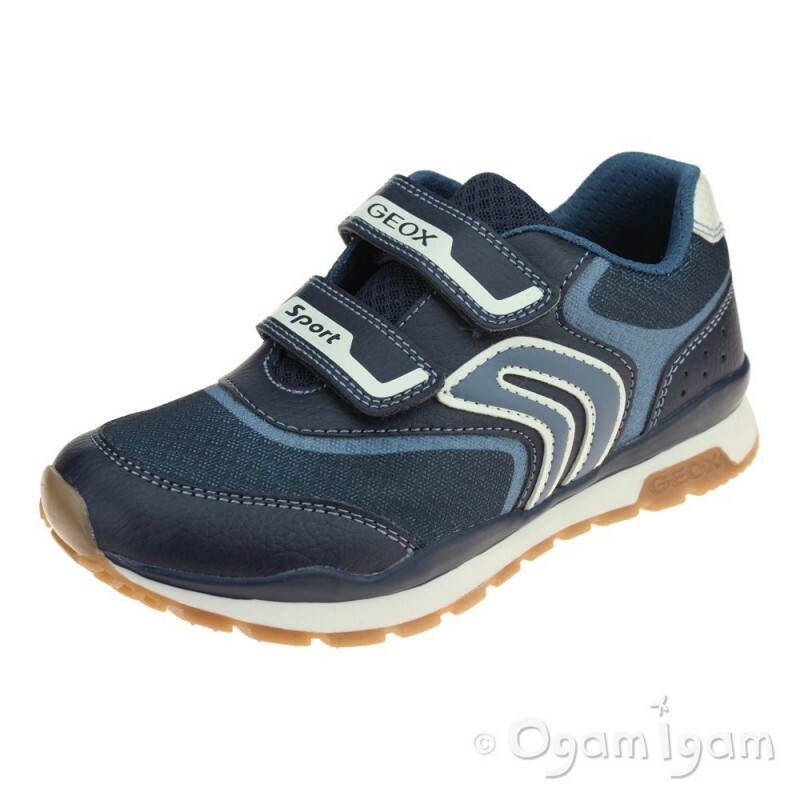 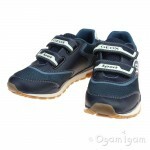 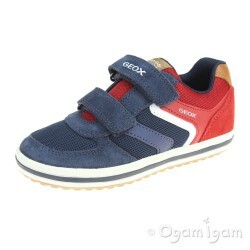 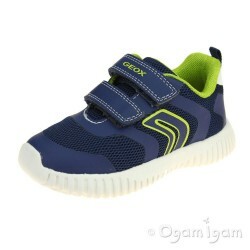 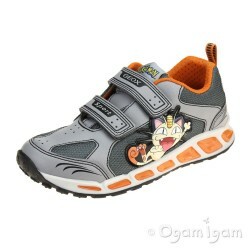 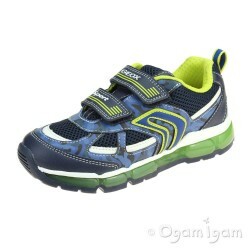 The Geox Pavel is a classic boys trainer from Geox. 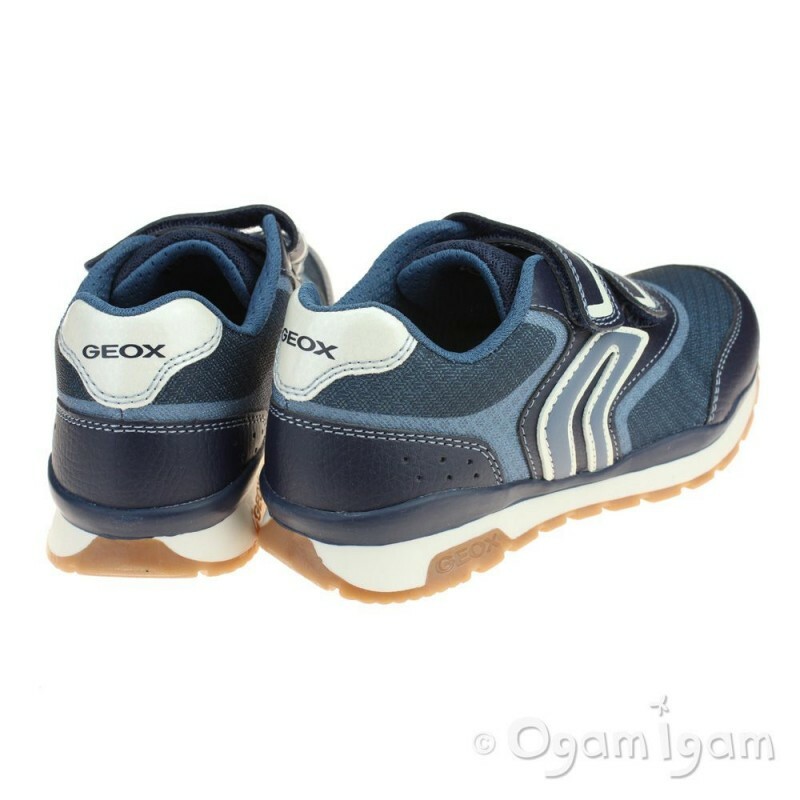 Featuring the brand's dependable trainer structure; double rip-tape straps, a cushioned insole and padded tongue and collar ankle. 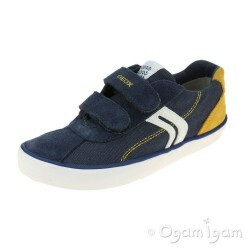 The Pavel's upper has both navy and denim blue panels with crisp white accents. 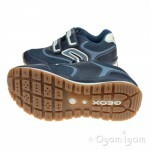 It's neutral styling lends it well to both casual and active wear. 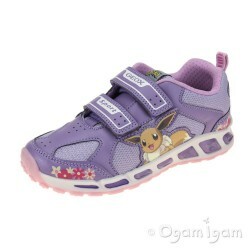 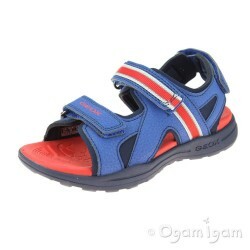 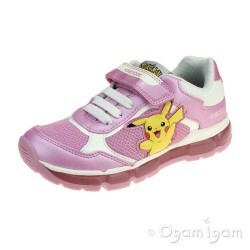 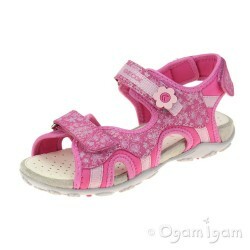 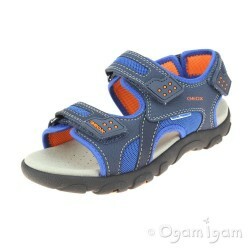 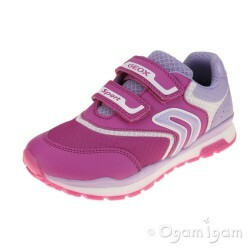 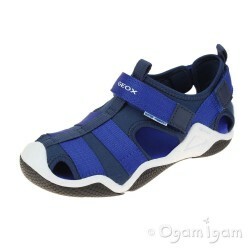 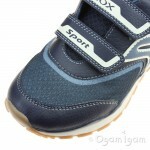 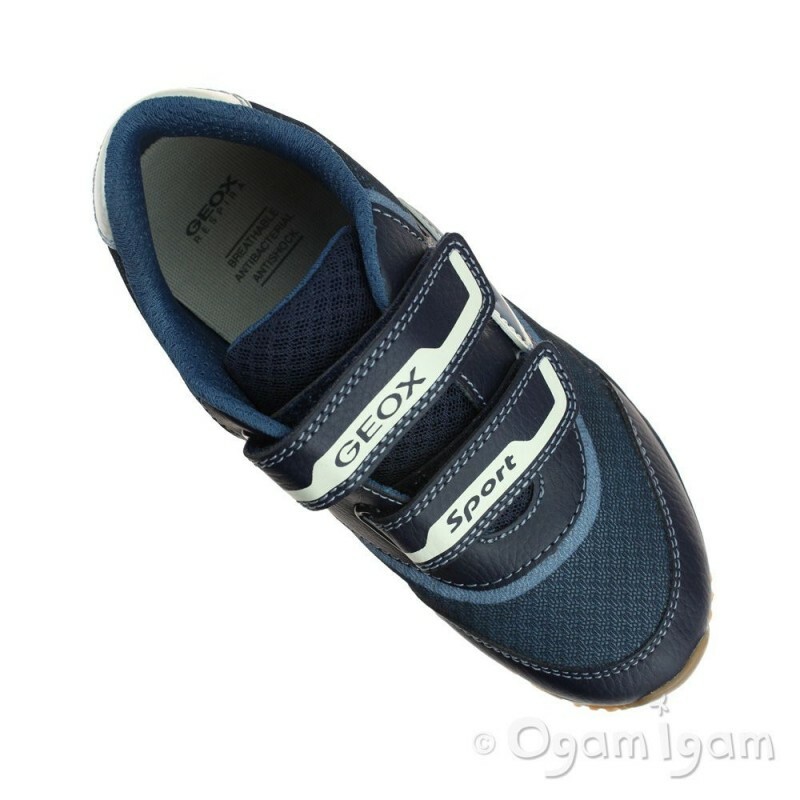 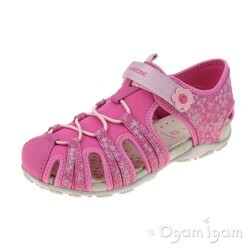 Its also sports a 'Geox Breathing System' insole to allow breathable ventilation whilst keeping the feet dry. 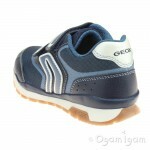 A durable contrasting sole unit with serrated grip completes the shoe.